With William Jacket’swide range of Suicide Squad products, you are sure to fit right into the top squad. Whether you are a pyrokinetic old gangster just like El Diablo or you are possessed by an ancient spirit absolutely like the Enchantress, then please pull up your chair, pudding’, and browse our wide range of Suicide Squad jackets, and suicide Squad Funko Pop! Figures. If you are interested in bring together the top squad for your next cosplay event or fancy dress party, you don’t have to look further or search harder! We have got Harley Quinn's "Margot Robbie" jacket, moreover, you can have the Suicide Squad “Joker” Crocodile coat to get the best exposer of your personality. We just not stop there, there are a lot more upcoming jackets which will make you more excited than any other jacket you will find on the internet world. 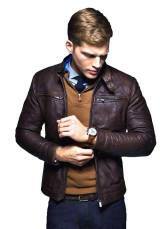 All exclusive to William Jackets! You can Kit up and easily enter the frayed shoulder to shoulder with your own band of freaks: In Suicide Squad We Trust. So-calledSupervillains, they may be, but the so lovable rogues’ gallery that is only Suicide Squad has been a favorite squad since DC Comics first created this unique antihero team. They gather them and put them together as a secret governmental taskforce of convicts and psychopaths. Who was assigned to fight against the more powerful enemies? For this mission, the Suicide Squad is given immunity for its all past crimes as long they keep tackling their missions. The selected group is assigned a name for its specific ultra-dangerous missions, which nobody is guaranteed to survive in mission completion– some people say it would be suicide to even try to get enter in this mission. However, the spinning gang of super characters, which includes killer Croc, assassin Slipknot, thief Captain Boomerang and, of course, hitman Deadshot, Harleen Frances Quinzel - aka Harley Quinn - do survive. By using their supernatural powers for a bit of good purpose to complete the mission (a bit of bad) and (most of the time) managing to stay out of prison forever. Whether it is on the silver screen or on newspaper, the brilliant Suicide Squad becomes the prime comic book action with a surprisingly human twist story, plenty of wild, and covetable fashion which will remain alive for a long time. You can assume the lesson from Suicide Squad that it does not matter what your character in the past, but you make your better future in all aspect.